Tick tock, tick tock. 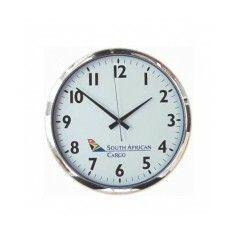 Promotional Wall Clocks are great for helping your employees keep track of time without checking their phone every 5 minutes. Personalised wall clocks are great for office and workshop environment to help make sure you’re keeping track of time and they’re especially good for keeping your brand image in front of the clock-watchers! These custom printed items are great for finishing touches around your workspace and handy for internally reinforcing brand image. 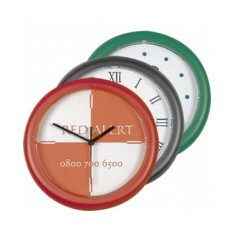 We can even do full colour, full coverage branded clocks for selling in gift shops. 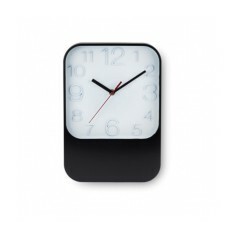 In search of a classic wall clock? 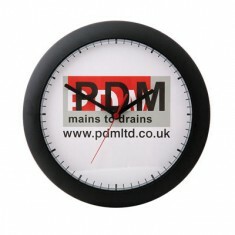 Our branded Premium Wall Clock has a rounded shape and is available in a variety of colours plus can be branded to the full face of the clock with your design. 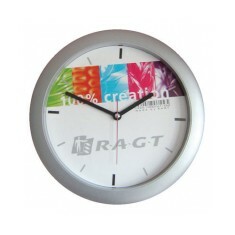 Available with either spot or full colour printing, this wall clock has great branding potential for making sure your brand is seen. 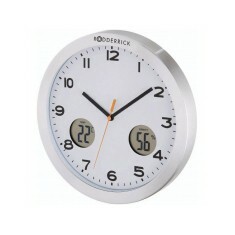 When you’re looking for something with more individual style, try our customised Clockie Wall Clock. The rounded rectangular shape comes in either black or white and has a more modern, stylish finish and has a large and highly visible branding area. 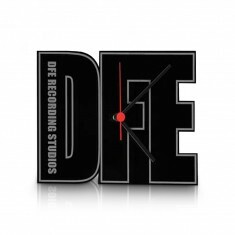 Get an idea of what your design will look like when branded to your clock of choice by giving our sales team a call today. Offers both fantastic quality and durability, combined with stunning colour re.. 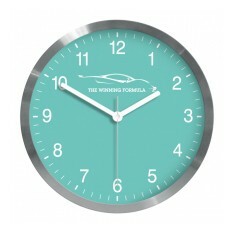 Unique CrisMa designed, award winning wall clock & weather station. Detachable.. 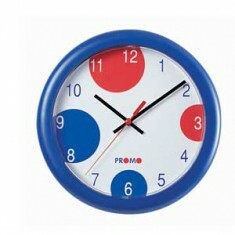 Round promo wall clock, three hand quartz movement. 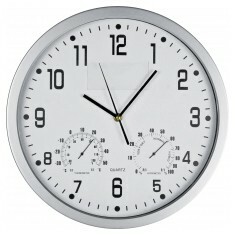 Supplied with batteries an..
Analog wall clock with digital display, features day, date and temperature. 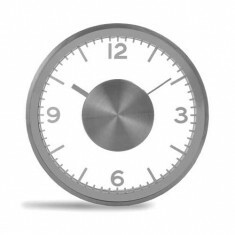 A classic style wall clock, our custom printed Grand Promo Wall Clock is digit..
A stylish wall clock with silver moulded surround. Battery and 1-4 colour proc.. 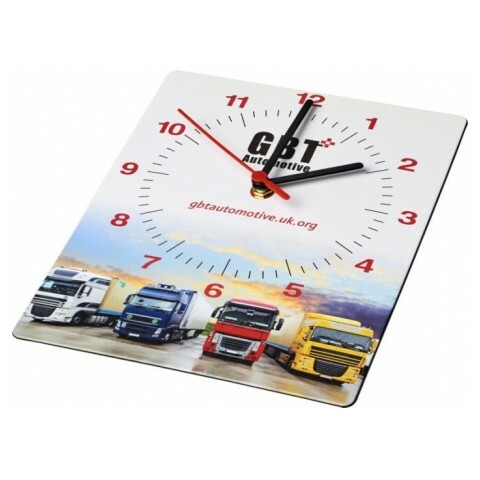 Promotional clock cut to any shape within 240 x 190mm and embossed with logos ..
Promo wall clock available in Black, White, or Blue. Plastic case with quality..
Analogue design. Requires batteries. Branded to the large print area at the front. 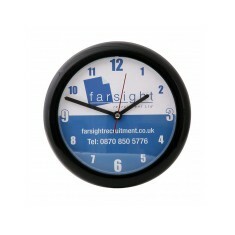 There's no excuse for being late to your meetings with our personalised Round ..
Smart stylish desk clock with analogue display. 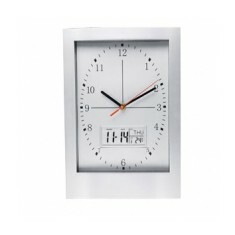 Add a finishing touch to your office with our personalised stainless steel wal.. Perfect for any office! 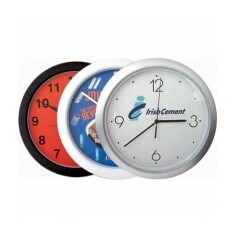 This 13" (320mm) round plastic wall clock is printed i..
Analogue wall clock with temperature and humidity functions.